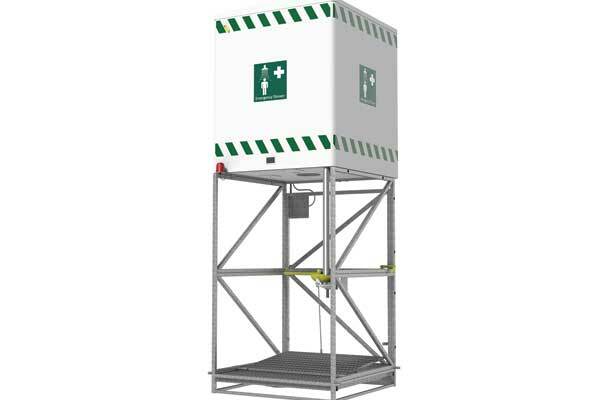 In areas where electricity is available, heat-traced safety stations provide excellent protection against freezing. 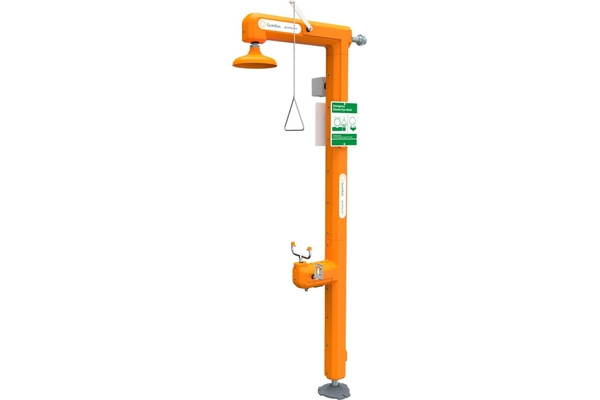 Guardian’s GFR3100 Heated Safety Station with Eyewash, Top Inlet units are heated by self-limiting heat tracing cable wrapped around internal pipe. A thermostat regulates heating. 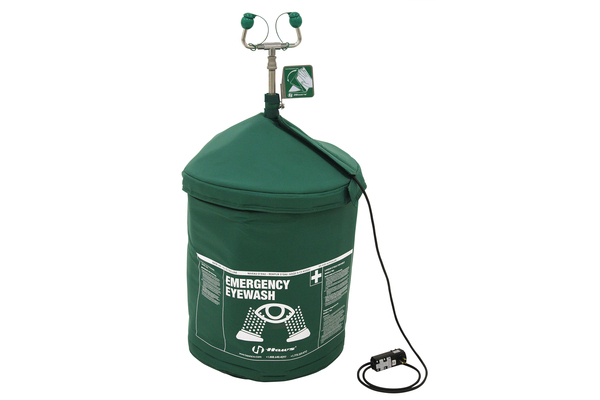 Units are insulated and jacketed for protection against weather. Since units are intended for use in cold weather conditions, consideration should be given to supplying unit with tempered water in accordance with ANSI Z358.1-2009. 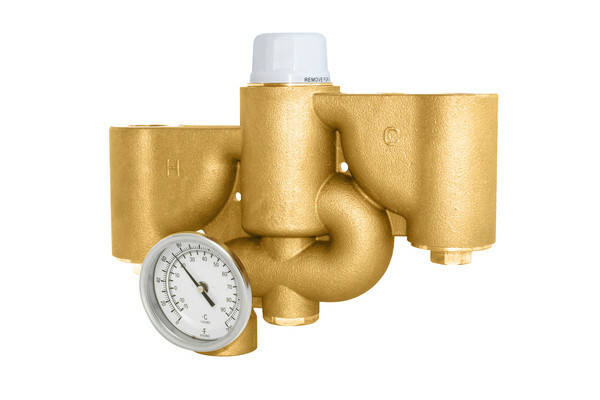 The eyewash valve and shower valves are made with brass stay-open ball valves. The eyewash valve has half-inch NPT female drain port to permit water to drain from spray heads after use. The freeze-resistant spray head assembly incorporates float off dust covers and internal flow control. 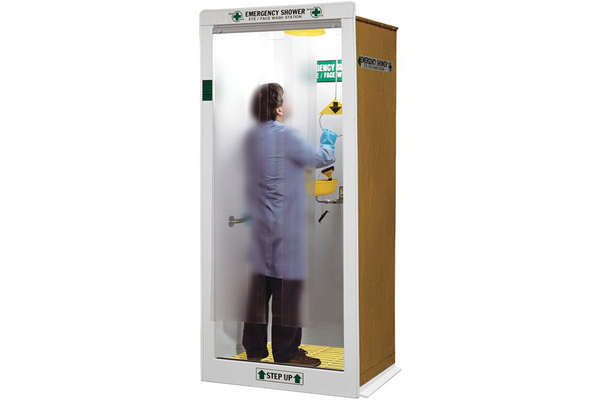 The unit has a UV-resistant orange ABS plastic jacket with removable polyethylene foam insulation. 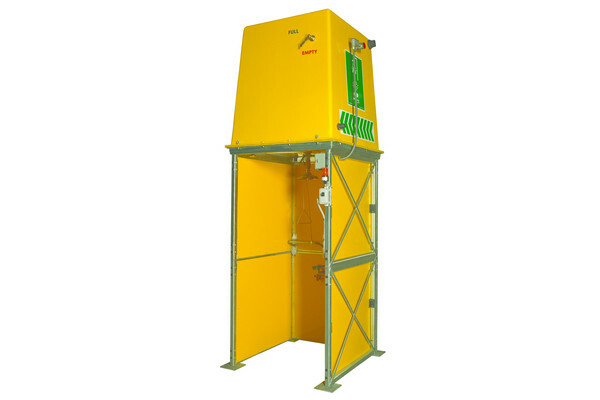 Jacket sections are secured with removable stainless steel screws for easy maintenance. http://www.gesafety.com.